On August 4th, our eighth banding season begins at the TLBO and Avery Bartels, now promoted to bander-in-charge, is excited to get things underway. Avery is an experienced birder with three years under his belt at the TLBO as assistant to Steve Ogle and Chris Chutter. Besides the TLBO, Avery has wide-ranging birding experience spending his winter months guiding bird tours in Colombia and rest of his time bird banding at Long Point (Ontario) and on various breeding bird projects around B.C. Morgan Brown will be Avery’s assistant for this year’s session. Morgan is also an experienced birder with a Bachelor degree in Biology from Ontario, banding experience from Mexico and Long Point, and various experience with surveys of amphibians, snakes, wetland birds, Chimney Swifts and shorebirds. We are nearly fully booked with Conservation Volunteers who will be lending Avery and Morgan a hand in data compilation, bird extraction from nets, general bird observations and learning lots at the same time. There are still two sessions available to be booked, Sept. 15-21 and 22-28. Peter Shaughnessy can be contacted at peter.shaughnessy@natureconservancy.ca if you are interested in booking a unique conservation experience. Each year the first task is to clear the net lanes of vegetation that has filled in since last year. Because of our very wet spring and summer, clearing the lanes will be a big job this time around. The grass is chest high in most places and the willow have grown dramatically. Once the net lanes are cleared Avery and Morgan will set 12 nets in preparation for opening day on August 4th. This year Avery plans to once again conduct after-dark mist netting of Saw Whet Owls. Last year 32 birds were captured and banded. 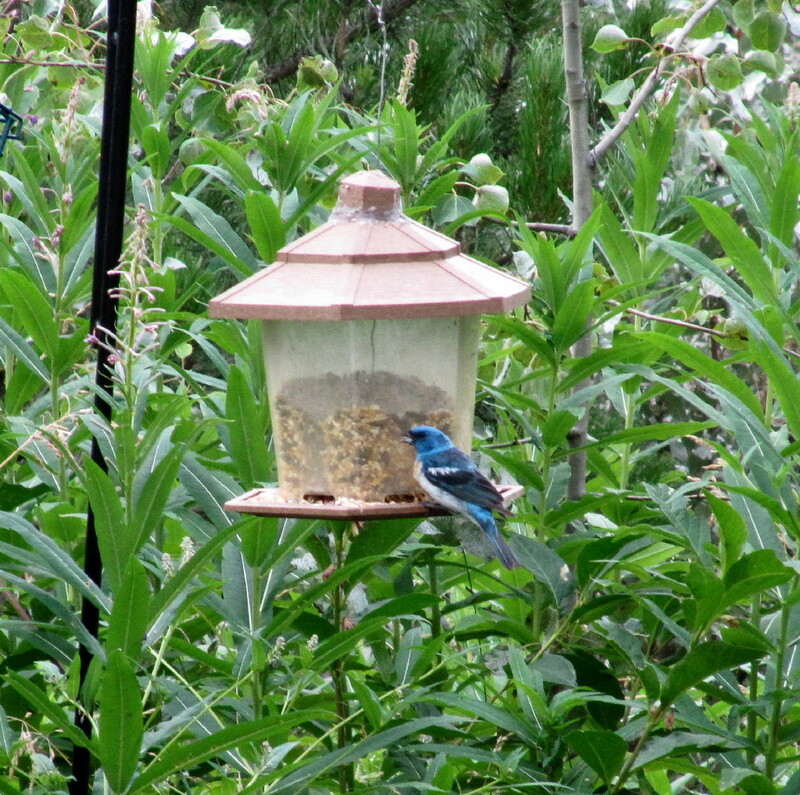 Amazingly, two of these birds were later recaptured at Rocky Point Bird Observatory near Victoria, British Columbia, one more near Courtenay, and a fourth near Spokane. Another exciting development is the addition of raptor traps in the pastures adjacent to the observatory. These traps will be baited with live mice caught in the ranch house, and is designed to catch the raptors feet in nylon nooses on the outside of the cage. It is designed so no mice are harmed. Look for daily postings of TLBO activities throughout August and September. In addition, feel free to comment on the postings and participate in the quizzes… we really enjoy hearing from our followers. You can automatically receive notice of each posting and/or subsequent comments by clicking on the RSS found in the upper right corner of the webpage. 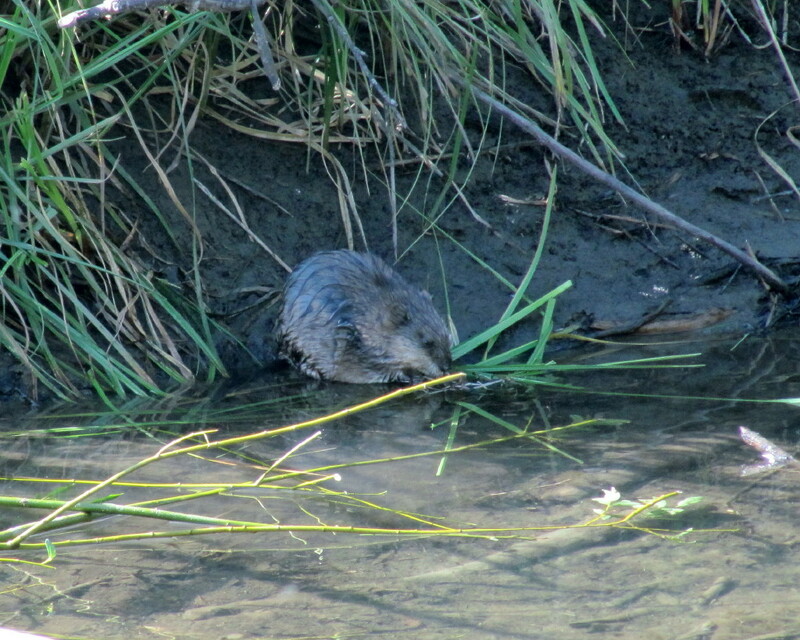 Muskrat observed along the banks of the Homathko River adjacent to the TLBO yesterday morning.